Planet in Focus is celebrating the screening FIXED! 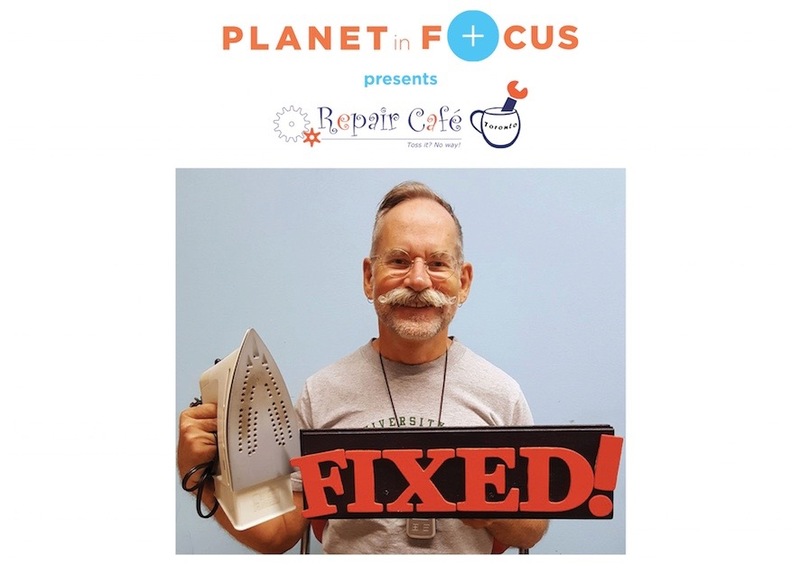 – a documentary featuring the incredible work of Repair Café Toronto – by hosting a repair event on October 21 at Innis Town Hall during our film festival! You can bring a broken treasure in and get it fixed by Repair Café Toronto and catch a documentary (or two or three!) while you’re at it. During a Repair Café, people bring in their broken or damaged treasures – everything from clothing to small appliances and electronics to bicycles – and expert volunteer fixers help them get their items back in working order. Repair Café volunteers also show people how to fix the item themselves, empowering us with the knowledge and skills to keep things out of our landfills! Watch the trailer for FIXED! and join us on October 21 at Innis Town Hall from 1pm-5pm to experience the awesomeness of Repair Café Toronto yourself!